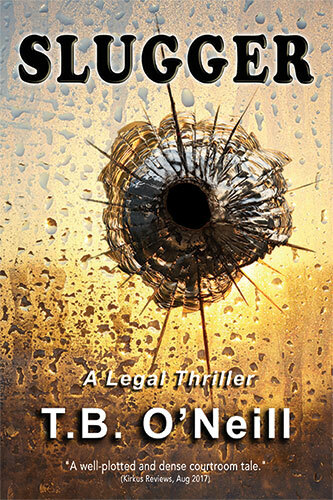 The thoughtful lawyer, Rod Cavanaugh, takes on a criminal organization with only his wits and the help of his friend and investigator, Tommy Edwards. At first, the case appears to be a simple matter of mistaken identity. But the more they learn, the more dangerous it becomes to know what they know. Disclosing the truth shakes Rod’s world, and endangers what is left of his broken family. Facing the toughest time of his life, as Rod adjusts to the failure of his marriage and tries to repair his relationship with his daughters, another challenge comes. Someone is trying to kill him — or not — but who, and why? Then there is the matter of an embarrassing book that they say he authored — a dime novel packed with slander about the judges and lawyers in town: his nemesis, and his adversaries. Worse, the book reveals the mob’s secrets that only Rod could possibly know. Adding to his worries, the presiding judge asks Rod to represent his son’s friend, a man called Circo, who turns out to be a murderous genius. A killer who stalks and bides his time. A suspense story told by a lawyer about lawyers, Slugger reveals the weight of justice they carry to court every day: their struggle against the power of the state, the hubris of the participants, and bias hidden in the human heart.